Be the first to share your favorite memory, photo or story of Deanne. This memorial page is dedicated for family, friends and future generations to celebrate the life of their loved one. 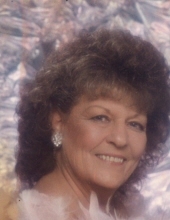 Deanna C. Malone, 79, of Charleston, passed away April 4, 2019 at Hubbard Hospice House. She was a former employee of Kanawha Janitorial Services, was a loving wife, mother, grandmother, great grandmother and a member of Silas Gospel Tabernacle. Preceding her in death were her parents, James A and Bonnie L. Burdette, husband, Ted Malone, and her brother, Doyle “Pappy” Burdette. Surviving are son, Jerald “JR” Westfall of Sissonville; brother, James E. Burdette of St. Albans. Grandchildren, David E. Mooney, Shane Miller, Christopher, James and Cole Westfall and 10 great grandchildren. Graveside services and burial will be 1:00 PM Monday April 8, 2019 at Boyd Burdette Cemetery, Charleston with the Rev. Harold Boggs officiating. To send flowers or a remembrance gift to the family of Deanne C. Malone, please visit our Tribute Store. "Email Address" would like to share the life celebration of Deanne C. Malone. Click on the "link" to go to share a favorite memory or leave a condolence message for the family.